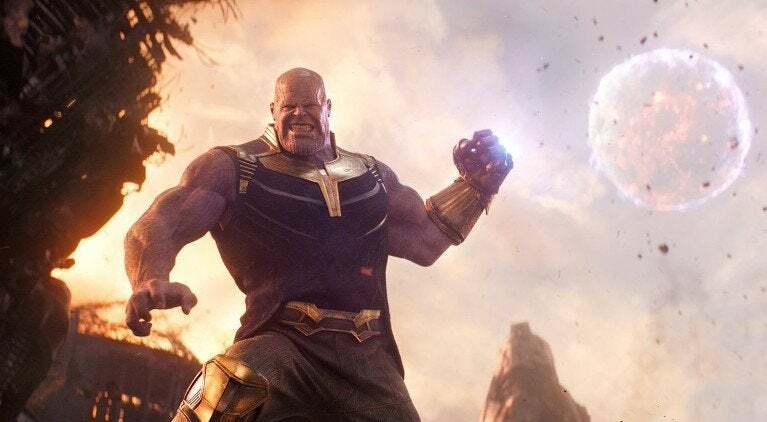 Netflix recently caused some waves when it released its description of Marvel's Avengers: Infinity War, particularly in regards to Thanos, and a few Marvel fans have taken issue with it. For context, here's the official description from Netflix. "Superheroes amass to stop intergalactic sociopath Thanos from acquiring a full set of Infinity Stones and wiping out half of all life in the universe." The specific term that is causing all the ruckus is the term "sociopath", which some fans are saying that Thanos clearly isn't. Psychopaths and sociopaths sit underneath the umbrella of Antisocial Personality Disorder and mainly differ in regards to guilt or a lack of conscience. Psychopaths are typically described as having no empathy for their actions, lacking any true sense of right or wrong. Sociopaths, on the other hand, are described to have some basic sense of right and wrong, but ignore it to achieve their goal. Throughout Infinity War Thanos shows that he does have regrets, especially when it comes to Gamora, both in her childhood and having to kill her to gain the Soul Stone. So it does seem he is aware of his actions. He also knows he is killing half of the universe, but believes it is for the greater good. In that case, he would actually be more of a sociopath than a psychopath, but then again, we here at ComicBook.com are far from doctors, so we'll leave any actual diagnosis up to the experts. In any case, several Marvel fans are taking issue with Netflix's assumption, and you can check out their reactions on the next slides. Before we go though, which category does Thanos fall in for you? Let us know in the comments! Slide 1 of 6How Dare You! Some fans are pretty incensed about it and want Netflix to fix their egregious mistake. How dare you call Thanos a sociopath, @netflix? He was trying to save the universe from overpopulation. He recognized the finite amount of resources in the universe. He's seen what happens when those resources run out. "How dare you call Thanos a sociopath, @netflix? Fix this, you ignorant bastards. Some just don't think Thanos fits the definition of a sociopath, and feel that Netflix is miscategorizing him. Really take issue with Netflix categorizing Thanos as a sociopath. He’s clearly not. "Really take issue with Netflix categorizing Thanos as a sociopath. He’s clearly not." Some are so annoyed they are TAKING OUT THE ALL CAPS TO MAKE A POINT! "STOP NETFLIX DESCRIBED THANOS AS AN INTERGALATIC SOCIOPATH PLEASE." For other fans he is clearly more of a psychopath than a sociopath...right? "Isn’t thanos a psychopath, not a sociopath? Pls correct me if my dumbass is wrong"
Slide 5 of 6Does He Know? The key difference between a psychopath and a sociopath is the knowledge that what you're doing is wrong, so which side does Thanos fall on? The Netflix description for Infinity War describes Thanos as a sociopath. So does this mean that Thanos knows that what he's doing is wrong, but is doing it anyway because he's stubborn? Does he *truly* believe that wiping half of life from the universe is key to saving it? "The Netflix description for Infinity War describes Thanos as a sociopath. 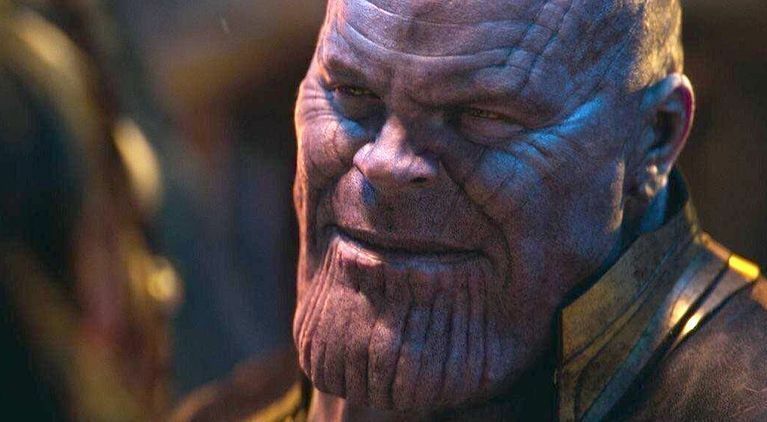 So does this mean that Thanos knows that what he's doing is wrong, but is doing it anyway because he's stubborn? Does he *truly* believe that wiping half of life from the universe is key to saving it?" For others the title of Intergalactic Sociopath just can't top the best title, and that would be Hot Daddy Thanos. Gotta say that would be a hard title to surpass. "'intergalactic sociopath' is great but I'm afraid it'll never top 'Hot Daddy Thanos'"